Personal & Commercial Insurance in Zelienople, PA, Jeannette, PA and the Greater Pittsburgh area. Since opening our doors in 1979, Jack L. Bonus Insurance, Inc. has been committed to providing the greater Pittsburgh area with comprehensive insurance solutions and exceptional customer service. Our strong background in insurance, coupled with our product knowledge, allows us to help individuals and businesses in Zelienople, Cranberry, Pittsburgh, Greensburg, and the surrounding areas mitigate risk. We are proud to operate our business in western Pennsylvania, and we make a point to serve the community where we live and work. 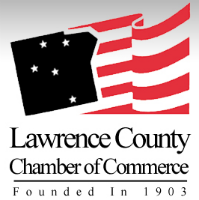 Outside of the office, we support numerous local organizations such as the Lawrence County Chamber of Commerce and Toys for Tots. By working with our clients one-on-one to match potential exposures with coverage, we are able to reduce their risk of loss. Our personal products include home, auto, and life insurance, but we also have the ability to insure a variety of businesses. From gas station convenience stores to hotels, our commercial offerings such as business auto, general liability, and property insurance can keep any business safe. Once we have determined the needs of each individual client, we rely on our relationships with trusted carriers for the best policy and price. To get started, please request a quote. At Jack L. Bonus Insurance, we enjoy building lasting relationships with our clients and protecting them for every stage of life. Our licensed agents are committed to service, and are always available to assist with any questions or concerns. Once we have worked together with our customers to put a policy in place, we review coverage annually. Contact us at your convenience to learn more about our products and services.